At William de Percy, we offer a range of Bed and Breakfast rooms. Each bedroom has a unique feel about it and no bedroom is the same! We know if you have a dog then it is part of the family, and so when going away for the weekend, the dog is part of this trip! Which is why we allow dogs in a variety of our rooms. We love all types of dogs, from Saint Bernard’s to Scottish Terriers. We even allow them into our superb restaurant! And if they are lucky they may just get a stroke and a treat from our friendly staff. All of our 25 bedrooms within our Bed and Breakfast have been designed for a fun and lavish experience. 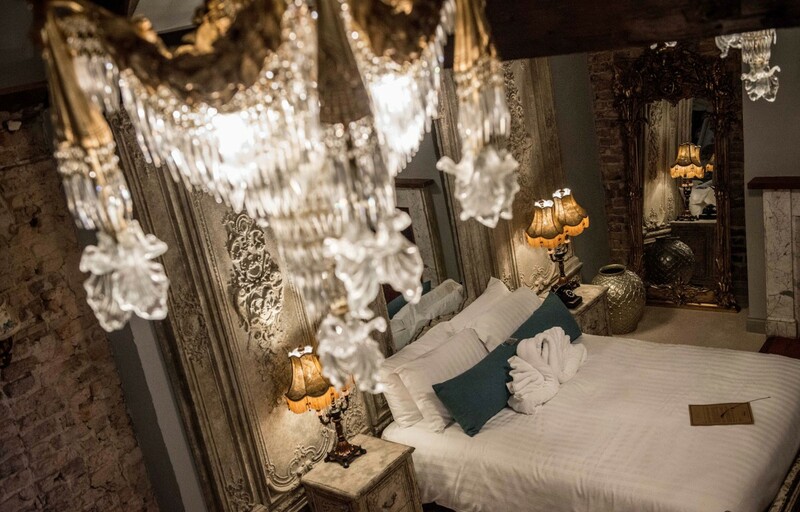 Each bedroom comes with a four poster bed. This is just one way which we express our luxuriousness within our bedrooms. 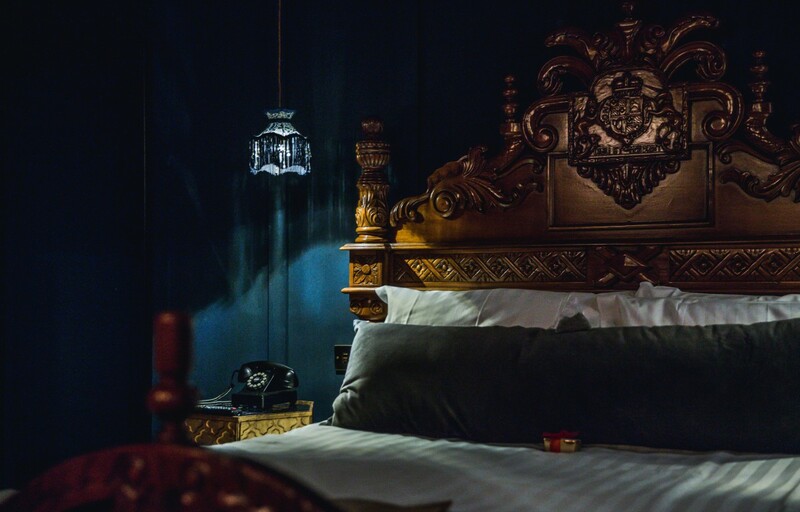 The four poster bed along with our open timber ceilings, gorgeous velvet curtains and throws express a sense of style and sophistication to each and every bedroom. But remember no two bedrooms are the same! 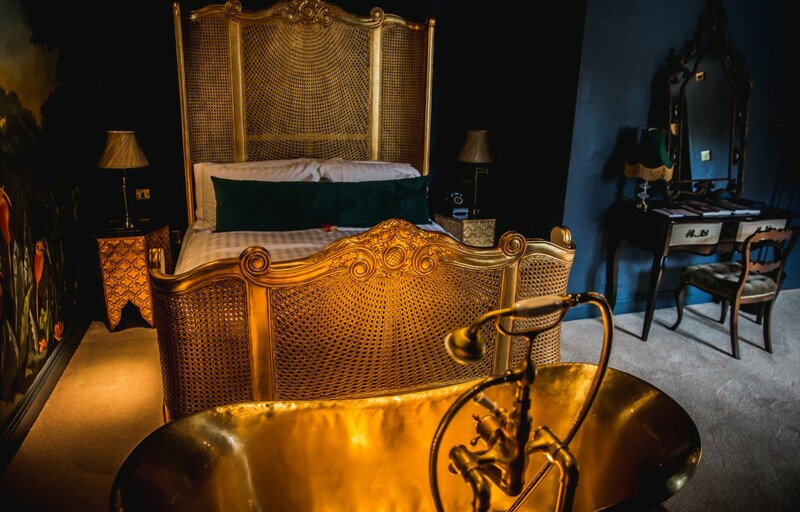 Each of our boutique bedrooms come with a stylish yet contemporary en-suite bathroom. 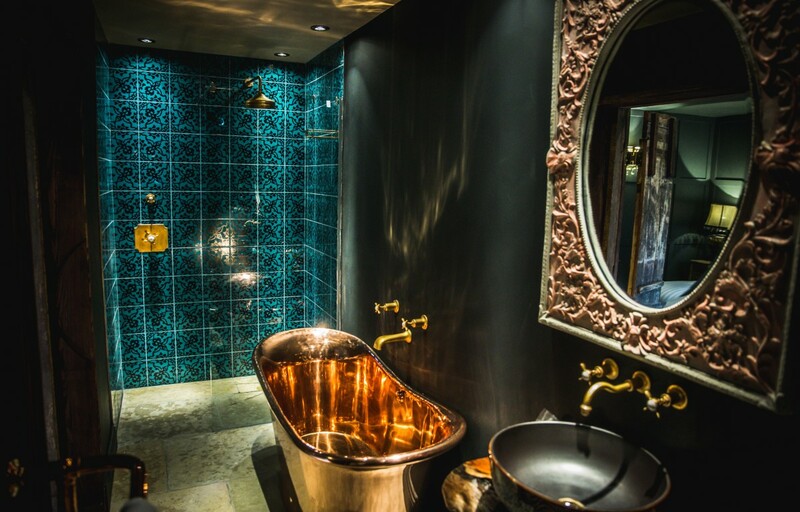 Our en-suites offer a relaxing vibe, perfect for those candle lit relaxation moments. And why not relax in style? With each en-suite bathroom complete with a free-standing bath tub. Each of our luxury bedrooms are available for everyone with different budgets to suit all. This way, all of our guests get to experience our grand bedrooms. We have 4 styles of bedrooms, these being; petite, classique, grand and deluxe. Each style of bedroom is priced at a different range.  A great night away isn’t complete without a great pub/restaurant, and here at William De Percy, we certainly have a great one. 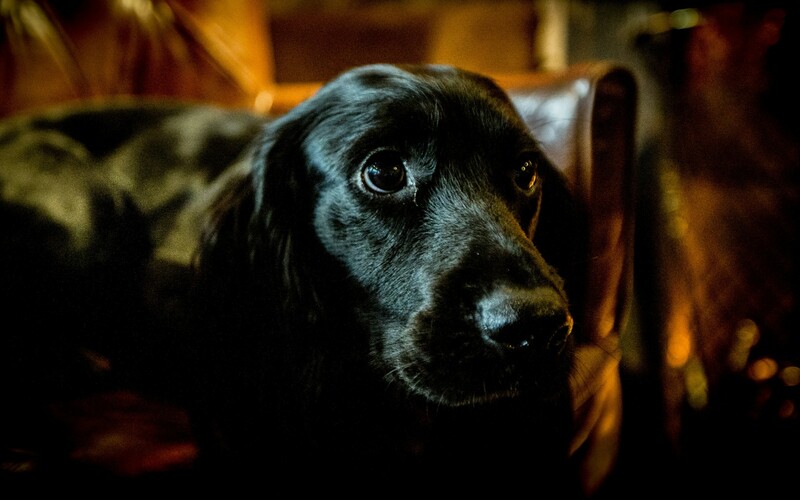 Our pub is complete with hearty and soulful food, waiting for you! 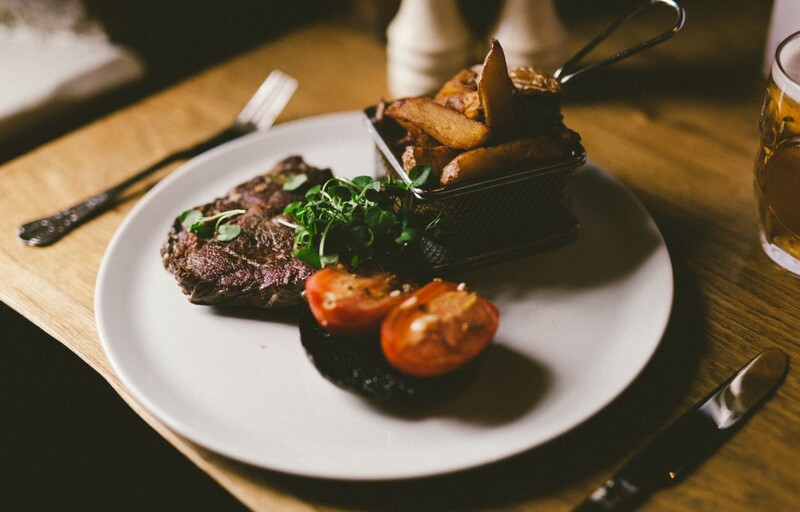 We also serve the best Sunday lunch in Northumberland. Complete with locally sourced ingredients from around Northumberland. If you don’t believe us, book a table and try for yourself! The William De Percy is great for all the family, as it is located in a small village in Northumberland only 12.5 miles from the Scottish borders and only 30 minutes from Kielder. There are some great walks for you and the family (including the dog!) to explore around this great area. Take a look at our top 3 dog walks in Otterburn for a little inspiration.